Dignified orange and cream georgette saree. Look ravishing clad in this attire which is enhanced resham work, lace and stones work. The party wear saree Included with a contrast magenta color blouse. 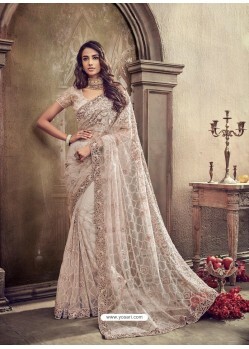 Its a pretty faux Georgette saree for wear on Festival and Reception. faux Georgette Fabric and Orange, Cream color Lace and Stone used to make this stylish Saree.